On the Ghaap Plateau 1 131m above sea level, Kuruman is the principal town on the Kalahari section of the Namakwari Route. The origin of the town’s name is uncertain but it is generally accepted as being a variation of the name of an 18th-century San leader, Kudumane. Known as the ‘Oasis of the Kalahari’, Kuruman is blessed with a permanent and abundant source of water. More densely vegetated than most oases, its water flows from Gasegonyana, commonly called The Eye. A spring delivering 20 million litres of water daily to 71 000 inhabitants, the water flows from solution cavities in the dolomitic Ghaap Plateau and cracks in the mammoth doleritic dykes and sills that thrust their way into prominence from the earth’s core some 190 million years ago. The spring nurtures an endangered species of cichlid fish. Flowing from the spring and the town’s missionary past is its other name, ‘the fountain of Christianity’ in Africa. Scottish missionary Robert Moffat, the first person to translate the Bible into seTswana, lived here for 50 years (1820-1870) and built the famous Moffat Church, completed in 1838. The Moffats baptised their first converts in 1829, taught them to read, and, using their own printing press, printed the first Bible in Africa. Regular services are still conducted in ‘their’ church.The town’s thriving economy owes its health to the community’s mining, stockfarming and agricultural activities. Manganese, iron ore, tiger’s eye and the richest blue asbestos deposits in the world are found and mined here. Hotazel Rd. The bird sanctuary has a wetland area with plenty of grass, reeds and trees. There are about 115 different species of birds mainly from the duck, ibis and heron families. The 2 000 hectare Nature Reserve is situated on the northwest side of Kuruman. A wide variety of indigenous game can be viewed including giraffe, eland, gemsbok, blue wildebeest, waterbuck, kudu, red hartebeest, zebra, sable antelope, impala, blesbok, springbok, ostrich, duiker, steenbok, black-backed jackal and caracal (lynx). The camel-thorn, wild sage and umbrella-thorn are the main tree species in the Reserve. Tennis, bowls, squash, golf and swimming. Tel 053 751 5555. Main Str. It is the largest natural fountain in the Southern Hemisphere. Stocked with goldfish, carp, barbel and blue kurper, The Eye has full café, curio and ablution facilities. Tel 053 712 1095. 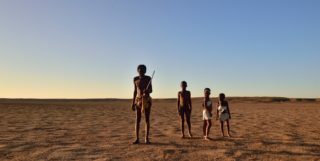 Kuruman is home to the Kalahari Hunters’ Association, tel 053 712 2711. The abundant game bred and culled in the area is fast turning it into a hunter’s Mecca. Private gemstone collection. Tel 053 712 2145. Offers golf (9 holes), squash course, bowls, tennis, snooker. Tel 053 712 1242. Assmang Geology Office. Tel 053 751 5555. Tour the spectacular tunnels and rock formations of Black Rock’s worked-out manganese mine. Restricted to 20 people booked a week in advance. Tel 053 751 5555. Moffat Lane. Dr Robert Moffat and his wife, Mary, arrived in Kuruman from Scotland in 1820. The Moffat Church was completed in 1838 and, for years, was the largest building in the Northern Cape. The marriage of their daughter, Mary, to explorer David Livingstone took place in the church, declared a national monument in 1939. Tel 053 712 1352/2645. Seodin Rd. The 1914 Rebellion left its mark on Kuruman. General J Kemp and 700 rebels invaded Kuruman to replenish their rations. Captain Frylinck and Lieutenant Gash were responsible for the safety of Kuruman and, after a short skirmish, the garrison surrendered. An armistice was negotiated beneath this shady camelthorn tree. Tswalu, meaning ‘new beginning’ in the Tswana language, is the largest privately owned game reserve in South Africa. The historic home of the San and malaria-free, the reserve has over 70 species of mammals and more than 200 bird species. Motse comprises eight individual thatch roof en-suite legaes (suites). Each legae overlooks the watering-hole and has an outside shower, private lounge, open fireplace and private sun-deck. Tarkuni, which is a 45 minute drive from Motse, offers secluded luxury for small groups and families of up to 12. 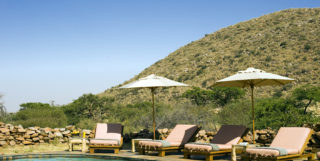 Activities include horse-riding through the reserve and game-drives, conducted in open sided, canopied safari vehicles. 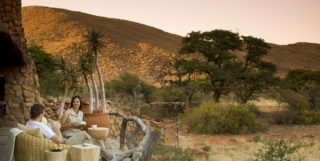 Bush walks, led by experienced field guides, give insight into the local vegetation, bush medicines, cosmetics and hunting skills of the San people. 43km south down Daniëlskuil road on the farm Wonderwerk. Archaeological excavations of the 140m long cave suggest datings of more than a million years old to the early twentieth century when members of the Bosman family made it their home. Spanning the stone age, finds include Acheulean handaxes and cleavers, evidence of controlled use of fire, grass bedding, animal remains including extinct species, engraved stones, and a wide range of Later Stone Age artefacts. Rock paintings - from which graffiti was recently removed - were made with red and yellow ochres obtained in the vicinity. Finds are housed at Kimberley’s McGregor Museum. The site is being declared a Grade 1 National Heritage site. Accommodation, by appointment, is also available. Tel 082 832 7226. The ideal place for the tourist wishing to explore an authentic African village or to stage an event out of town. Situated in the garden town of Kuruman in the beautiful Kalahari, Kuru-Kuru Guest House is known for its warm hospitality and excellent cuisine. Leach Lodge is a new, upmarket lodge situated in a quiet, green area in Kuruman, the Oasis of the Kalahari. 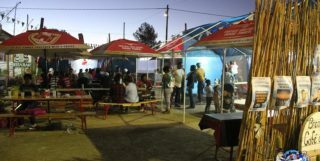 Legaeng is situated in the heart of the area called Mothibistad, in the very cultural Kuruman, in the Kalahari Region. Oude Werf Lodge, style and tranquility under Camel Thorn trees. Kalahari Accommodation Oude Werf Lodge, style and tranquility under Camel Thorn trees. A peaceful beautiful garden environment with everything you need for that special rest you deserve. Experience hospitable African outdoor tranquility in a secure country environment.